Let’s accept that, one of the most complex systems in your house is heating, ventilation and air conditioning system. Because these units create a real comfort for you, it is better to hire the right HVAC Contractors in AZ. HVAC systems are complex and require advanced expertise and ongoing maintenance. Safety issues are important as much as your comfort and efficiency. Hire the professional HVAC Repair Service in AZ to equip your house with safe and quality heating, ventilation and air conditioning systems. Your selection of HVAC contractors in AZ makes a massive difference in the performance and the quality of your HVAC systems. Before hiring HVAC contractors to make sure you get the answers to the questions down below. How long experience does the company has in this business? Learning how many years the HVAC Contractor company is operating will help you to figure out how experienced are they in this business. One thing is evident that not many companies can meet the rapid changes happening in the modern business world. Our recommendation is to consider hiring an experienced and qualified company. Will the HVAC contractors provide proof of licensing and insurance? Every HVAC contractors in AZ need to have a license. No matter how qualified the HVAC service seems, you are better to consider hiring the ones are licensed. Another point here is insurance. Insurance is essential in ensuring that the contractor and you are protected, in case of any unwanted issue. Which brands do they use? It is okay to ask which brand and what kind of products they utilize. HVAC contractors are mainly working with high-quality brands. Even though, you may have your own choice of preference in brands and equipment. 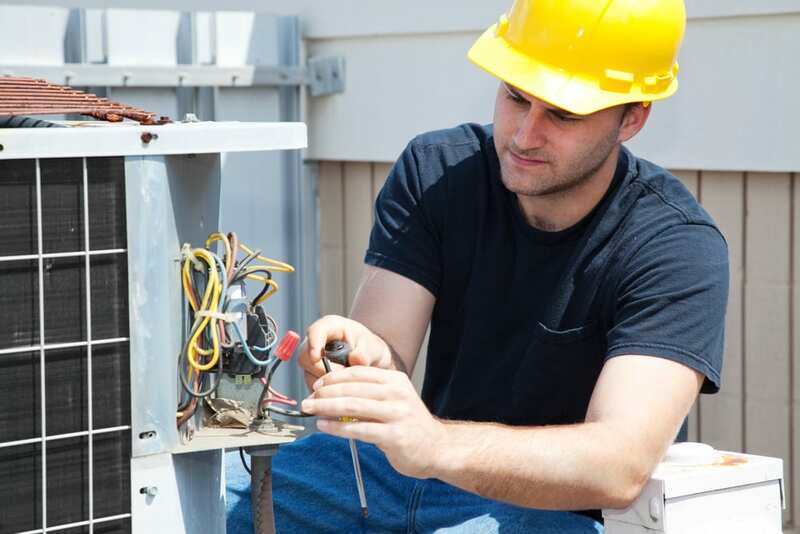 Make sure you hire the most suitable HVAC contractors to meet your needs here in Arizona. How long will it take to repair or install the new equipment? Pricing is an essential issue in hiring HVAC contractors in AZ. Nevertheless, there is one point, you should better consider ahead. Ask about the time takes to repair or to install the new equipment. The professional contractors will finish their work fast and at the highest quality. Warranties are giving you the peacefulness about not worrying if there will be any problem on your HVAC units after they installed or repaired. It is better asking about the customer service they provide if any problem occurs in the equipment later. Does the HVAC contractors provide you with the reference? References are one of the best ways to know if the HVAC contractors you are hiring is doing successful HVAC repairing and installations. It is essential to get their customer references as you will be sure about their experience and know if they will provide you with high-quality service. There is an option like reading reviews online. Get in their website, stalk and see their ratings and reviews. Every homeowner in AZ wants to rely on HVAC contractors who are doing their work at high-quality and for affordable prices. Do your research, ask the questions we mentioned above and learn if their service is reliable or not. AFR Dynamics reliable HVAC Contractors in Az will provide you with the correct answers in addition to our quality services here in AZ.